We are delighted to receive feedback from our clients. Here are some of the recent testimonials where clients have scored us 5 stars in all 27 reviews! ★★★★★ – Mark and his team where very easy to work with, no fuss and works where carried out in a professional manner. They sorted out an old bay window in our lounge with new bottom sills and draught proving strips. We really notice an improvement when sitting in the lounge,watching telly, much more comfortable now. 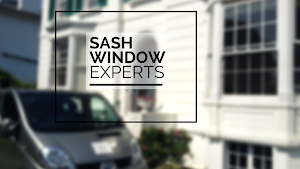 I recommend Sash Window Experts. ★★★★★ – Mark, Gary and Dave have done a fantastic job repairing our Georgian sash windows this last week. Considering ours were broken and painted shut and 200 years old, they now look and work like new. Worth every penny and you couldn’t meet a better group of guys to work on your house. Everything was left spotless. Thanks Mark and team and hope to see you again soon for secondary glazing once I’ve sorted out permission. ★★★★★ – Mark and Gary were a great pair to deal with. Refurbished our window neatly and professionally and will deal with again. Strongly recommend their work and have no hesitation. In fact neighbour is so impressed they’re going to make contact. ★★★★★ – These guys are awesome! Quality work and the added bonus of being nice chaps. Are windows are superb. They are clean workers, efficient and honest guys. Would happily recommend and use again! ★★★★★ – Mark and his team did a great job restoring our sash windows. They were all really friendly and were clearly passionate about their work. They left the house really tidy (It’s never going to be spotless with that amount of dust flying around the house). I would recommend Mark and his team to anyone looking to complete work on their windows. ★★★★★ – Excellent work, carried out window refurbishment and supply/fit secondary double glazing. I would recommend them. ★★★★★ – Hard working and professional team, would recommend. ★★★★★ – Very pleased with our restored sash windows. Thank you very much to Mark and team. Highly recommended! ★★★★★ – Very pleased with the restoration service provided by Mark and his team. Am happy to recommend them wholeheartedly. ★★★★★ – Great work and attention to detail. Thanks Mark and Garry for our lovely new windows. ★★★★★ – Last Friday for the first time since we moved we able to use our sash windows in the living room. It was a wonderful hot sunny day and so nice have the windows open, it was truly wonderful and all due to your hard work and the work of your team. We love our hobbit house all the more now. So a big thank you. ★★★★★ – Love my refurbished windows by Mark. Thanks for all the hard work, the house already feels warmer with the double glazing. ★★★★★ – Supremely happy with the work carried out by Mark & Charles to my 200 year old windows. Even when more rot was found than expected did not phase them. Total back to the brick rebuild of one sill and tricky casement with parliament hinges and un-true frame. Quality and courteous service. New ‘fluffy’ seals already greatly reduced road noise from busy street outside…! Would highly recommend. Happy to give referrals. Cheers Lee. ★★★★★ – Hi Mark, Thanks so much to you, Gary and Charlie for a great job. If you ever need me to sing your praises I will be happy to do so if you want to put potential clients in touch.